The largest sports center in Canada ! The Hockey School is the most beautiful sports complex ! A school well renowned who will supervise you ! Since the first day of his creation, the Capital Hockey School work in collaboration with Laval University. During your stay, you have the chance to walk among the greatest and to have a good overview of the student life in Laval University. Laval University is the oldest establishment of the higher education Francophone in America and the sixth oldest University in Canada. For more informations about the Capital Hockey School and Laval University, click here. In order to form athletic player and worker of tomorrow, in 2018, the Capital Hockey School decide to undertake a redesign of his mission, vision and values. A step made for the youth, practicing ice sports can develop good habits during their studies and when starting their life on the labor market. Awakened by a deep development conviction of the player of his age at the end of his career, the Capital Hockey School form passionate athletic hockey and ringette players to become the leaders of today and tomorrow of our society. Open to the world and different cultures such languages and customs, the Capital Hockey School offer you a stimulating environment and a rich knowledge of the international community. 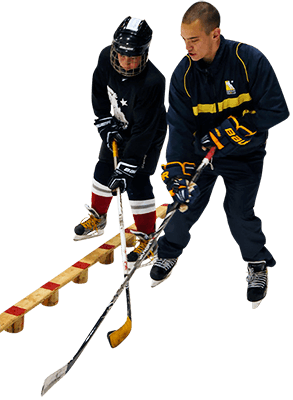 Reference in term of supervision and ice sports techniques, the Capital Hockey School offer you a competent and modern education. Leaders of today and tomorrow having a good work ethic and a developed talent in order to become trusted people at her personal and professional level. They will be stimulated by important issues to wich they will face while having fun to devote. Receptive to differents sports personalities and the world around us , the Capital Hockey School practice and teach the following values. Founded in 1979 by a professional hockey player (Marc Tardif), a professional coach (Charles Thiffault) and a business man (Andy Despaties), the school is based from the very begining of his history at the Super Peps of Laval University. In the early 1980s, the Capital Hockey School has been sold to Michel ouellet. Through his work ethic, determination and passion for sports, accompanied by several associates, Michel Ouellet, made the Capital Hockey School famous in Quebec city. In 2016, Christopher Bédard (young business man ) buys the Capital Hockey School in 2018, he decides to surround himself with Martin Roy (25 years of experience at the hockey school) as director of operations. Since his existence, the Capital Hockey School received more than 55,000 interns and trained several players reached the national League. The Capital Hockey School now welcomes players from more than 10 countries every year and regularly receives players whose father and grand father came to the hockey school. The number of interns: around 1300 young players and goalies. → In charge of operations and internal affairs, schedules, available place, supervision of staff on ice and off-ice. This validates the quality of the teaching and the service offered. → In charge of visual identity, social networks and mass mailings. → In charge of hockey equipment for sale, memorabilia, lost items. Bilingual, holds a Bachelor’s degree in physical education or sports intervention. Former elite or professional player, elite coach training or competition with Hockey Quebec and Hockey Canada, experience with young players as a coach on a hockey team. → Responsible for off-ice testing and fitness. → Take care of the day-to-day operations. → Supervisors of the counselors, in charge of laundry, residences, cafeteria, help for players (equipment breakdown and medical emergency), meals, group changes and absences. → Cares for direct supervision with interns. Boarding the rink as an apprentice coach (2 at any time on the ice), responsible for group facilitation, sports activities and off-ice games. Help players get dressed. 24-hours presence with players. 3 counselors per group for small pre-squirt/squirt catégories and 2 couselors for older categories. This number helps to promote good supervision. No escape possible. → Allows players to leave with a memory that will be remembered forever. → Ensures the proper functioning of the facilities and all services offered to Laval University at the Capital Hockey School. → Second director of the department of ice sports. → In charge of ice schedules, supervision of the hours with the staff of the arena and the Capital Hockey School. → In charge of skate sharpening, resurfacing, repair or technical support installations and rink. → Physiotherapy student available for minor injury or sports bandage. → A team that cleans the floor and the locker rooms at night to ensure they will always stay clean. They are not responsible for the mess in hockey bags. We offer the possibility to leave the equipment directly on site for the whole week of your camp. → In charge of player safety when they go to the pool. → Responsible for campus-wide security. They are the first responders with the coordinators in case of accident or major health problem. → Responsible for meals and the reception of interns during meals with the exception of St-Hubert, the exit in Old Quebec and the hot-dog party. 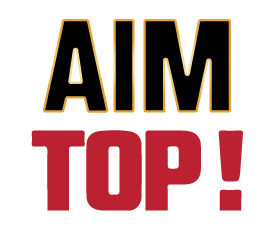 All our camps are offered Gold « à la carte» except for the individual development elite programe. ***Note that spring break camp is only available in silver and bronze packages. To ensure that the Capital Hockey School has a harmonious, eloquent and adequate image, a refresh of the image of the Capital Hockey School has been updated. This visual indentification update has been schedule for the user and partners of the Capital Hockey School. In order to meet the graphic standard essential to the continuity et reinforcement of the brand, please contact us to provide you with the right image versions. At the Super Peps, you’ll have the opportunity to train in the same place as many players in the national hockey League. There is a liste of all installations. The largest sports center in Canada. At this pavilion, you will have the opportunity to have breakfast, lunch and dinner or to bring your meal (microwave included). You will have the choice among 4 meals, 2 beverages (privilege, an entry and a dessert) included for the gold packages. Inside this pavilion, you can find the depanneur at Alphonse who will allow you to buy some treats (it’s summer after all) ! This lodge is where you will sleep during your stay. These are student residences Unversitaires. Nobody can enter whitout access card and keys for rooms to provide greater security. At the Capital Hockey School, you have the option of staying in a single or double room with one of your friends or family members. At this location there is a relaxation room and a game room. Know that this is not a hotel, so bring your fan, it’s hot. The showers are taken at the Super Peps in the players room to ensure greater safety, better logistics and quieter atmosphere. This University is the oldest Francophone higher education institution in America and the sixth oldest University in Canada. Every wednesday night, the Capital Hockey School is closed to focus on this week’s cultural outing. By school bus, we go directly to Old Quebec to eat at Mcdonald’s. Afterwards, we walk towards a candy shop, we watch a street show and we finish our visit in the little Champlain. After eating, for players aged 15 and over with parental permission, we give a meeting point and an hour back. This summer remains active with us !